Radziah Mohd Radzi, a former engineer now an entrepreneur, always had a passion for the act of social giving and would always seek out ways to help out the community in a way she can. Years were spent of her seeking knowledge about social enterprises in hopes of discovering the idea she was looking for. While on an educational tour in the US under a program called International Visitor Leadership Program (IVLP) which was organised by the U.S Embassy in Kuala Lumpur, she was inspired by a story from another participant in the tour who was operating a social enterprise under the name ‘Social Giver’ in Thailand as part of the tourism sector. It was then she felt a stronger urge to start her own social enterprise whereby she wanted the focus to be on education. That was when the idea came. Radziah shared her ambition with many others and eventually, she got to meet Ratna Adnan and Norashikin Mohd Yussof who eventually became her co-founders and joined her in pitching their enterprise startup idea to Malaysian Global Innovation and Creativity Center (MaGIC). They got accepted to the first Social Enterprise Accelerator Program by MaGIC where they spent four months building a social enterprise they named Hijab for Good. They managed to receive RM30,000 seed fund from MaGIC and an angel investment that led into pushing out their startup’s beginning. Hijab for Good launched in 2015 but has now been rebranded to its current name. The founders found that the name Hijab For Good was simply too long for their liking which they also felt lacked brand persona so in September 2016, they are now formally known as Good Hijab. Good Hijab is a shopping platform for Muslimah lifestyle brands and products which is driven by a social mission to provide support for underprivileged youth. They offer various selections of Muslimah attire and profit from the sales goes towards funding social impact activities to empower underprivileged youth with new skills. Good Hijab offers 3 services to their customers. 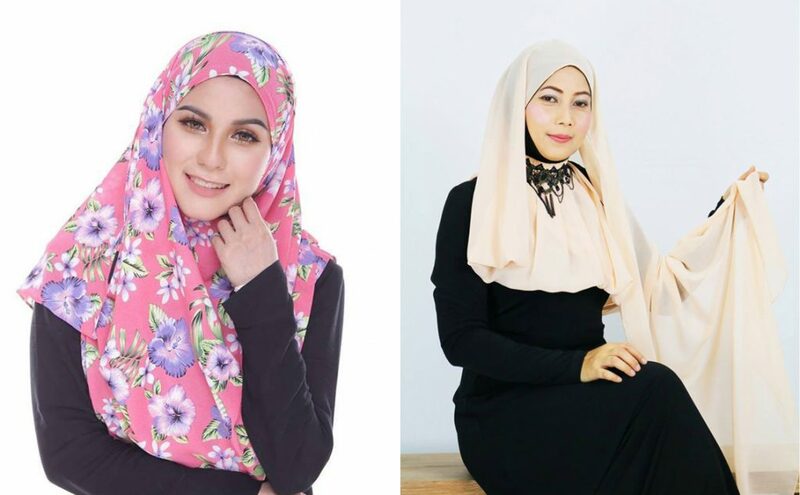 Customers could shop from their range of products offered by eight local Muslimah brands which are Duchesscarf, Fathiyah’s Dreams, Hadeeya, Hybrid Fashion, Ku-Em Shawl, Lilscarfrack, Posh & Merry and Rihayaniz. They also have a Flash Sale option which uses a bidding concept where consumers can bid for a hijab product and get 20% discount for their next purchase. Each bidding process lasts for 2 days and a bidding they held last week managed to sell 12 collections out of 13 bid products with the total value coming to about RM1,458. The final product they offer is called a Good Box, which is a three-month subscription basis and is priced at RM90. The Good Box contains a shawl and four Muslimah lifestyle merchandises that are specifically picked and endorsed by Good Hijab as Good Maker products. The content inside a Good Box changes every three months so subscribers are able to try new items in the box in their next 3-month subscription. “We collaborate with Muslimah fashion brands and makers or producers of products that related to Muslimah lifestyle. We only associate with Good Maker products which are made by people or companies that have a social mission to help underprivileged people because we want to ensure that in the end, our mission is achieved,” said Good Hijab to Vulcan Post. While researching for a social issue they could focus on, Radziah and her co-founder saw a need to provide support for young adults living in shelter homes. In most shelter homes, children at the age of 18 or older are most likely expected to leave as they are considered of age to be able to make a living for themselves. The problem that came with that however was the lack of skills these youths would have, due to not having the privilege of a proper education and such. Surviving in this already challenging environment would only make things tougher for these orphans who are so accustomed to the confines of their orphanages. “Imagine, without a proper support system, many of these youths could end up jobless or even homeless because they don’t have any marketable skill or simply not able to earn an income. So we created a social enterprise that plays a role in providing support for youth at shelter homes,” said co-founder of Good Hijab, Radziah Mohd Radzi. The team also took notice of the growing Muslimah fashion industry and lifestyle products in Malaysia so they leveraged on this and matched shopping with their social mission. 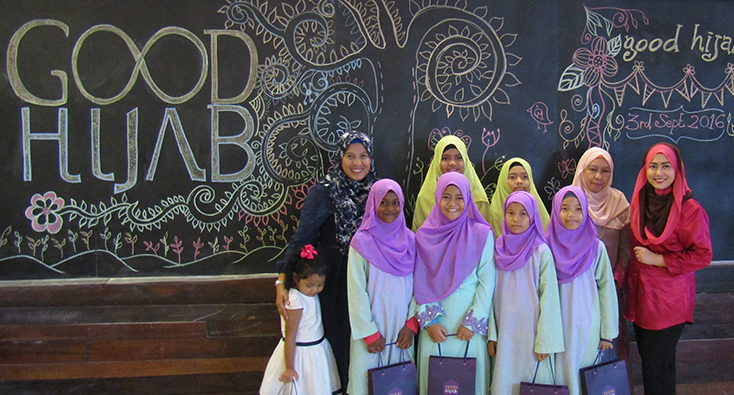 Within the first few months of running their social enterprise, they were already able to garner interest from Muslimah brands to sell their products through the social enterprise web platform, and Radziah with her team also managed to organise social impact activities. The team has already held four social impact activities which were sewing and baking classes at a shelter home called Rumah Kasih Harmoni, Paya Jaras. The videos they took of that time show a positive response from the kids as they engaged in these activities to further their skills even more. Their primary focus right now is providing support for youths at the age of 15 to 18 and the aim is to empower them with a new skill so when they leave, they will have something to base their skills on. The team is also currently looking at helping underprivileged children from low-income housing areas as well to offer the guidance they need for a better future. “We are excited about the launch of Good Hijab. With a new name, a new visual identity, a new shopping platform as well new products, we are ready to push forward. We are grateful for the positive response from the local brand owners who sell their products on our platform and all our partners who join us on this important mission to help underprivileged youth. Together, I hope this brand will grow even more so that more youths can be helped,” said Radziah.